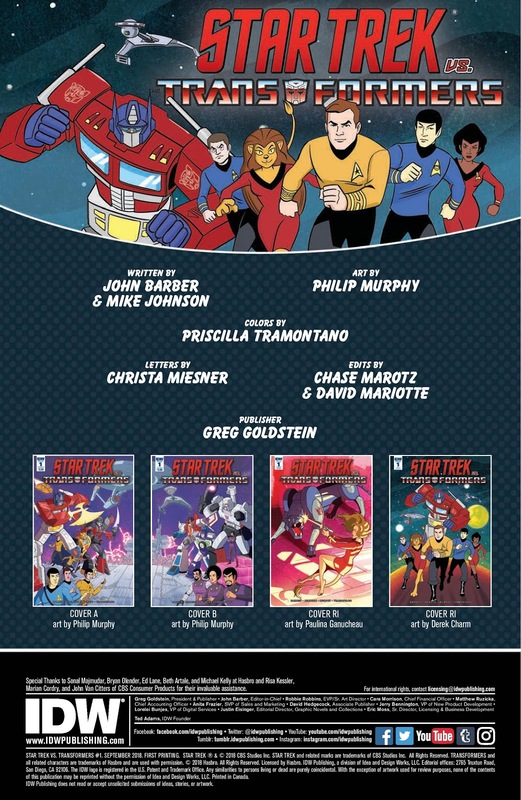 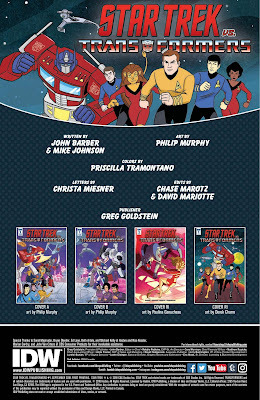 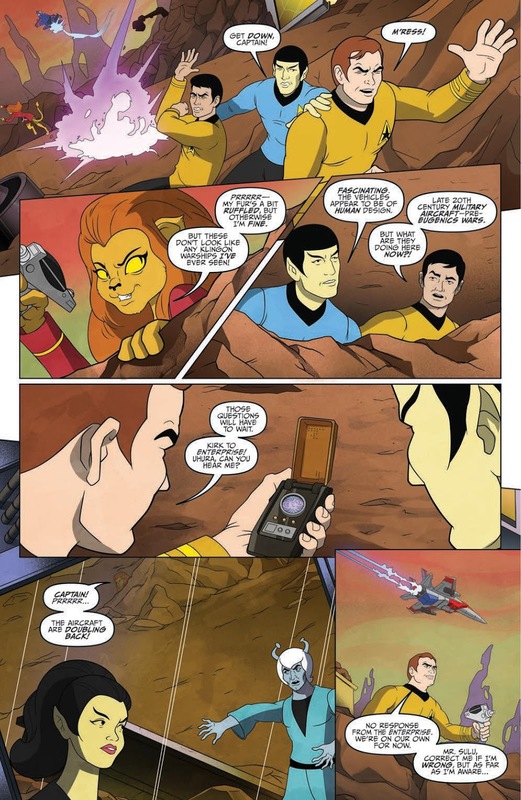 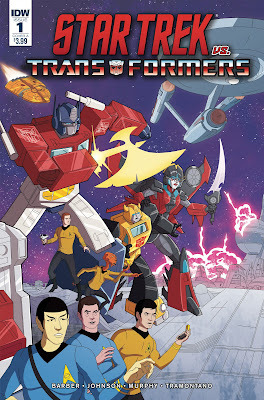 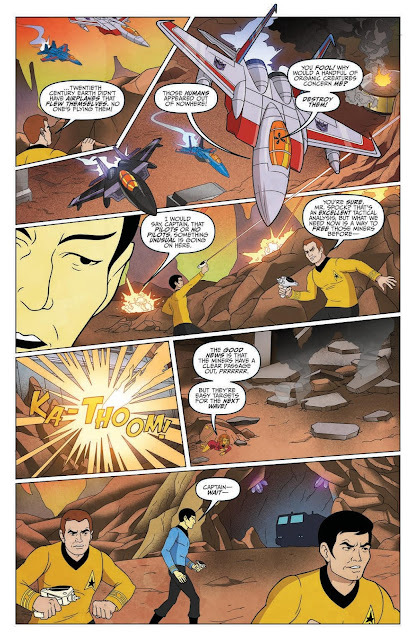 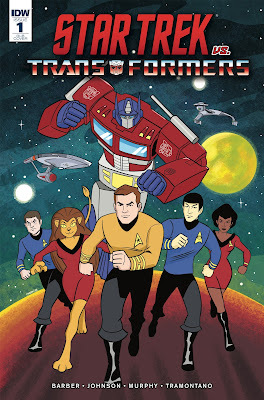 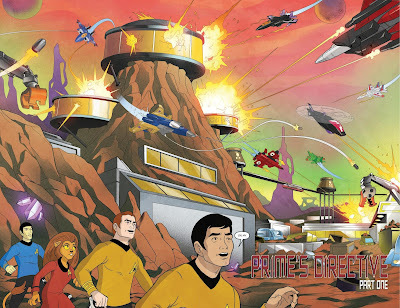 Out this week is the first issue in IDW's latest crossover comics series, Star Trek vs Transformers: Prime's Directive. The four-part series brings together the original animated series eras of both universes, with artist Philip Murphy and colourist Priscilla Tramontano taking us right back to the retro look of both series. 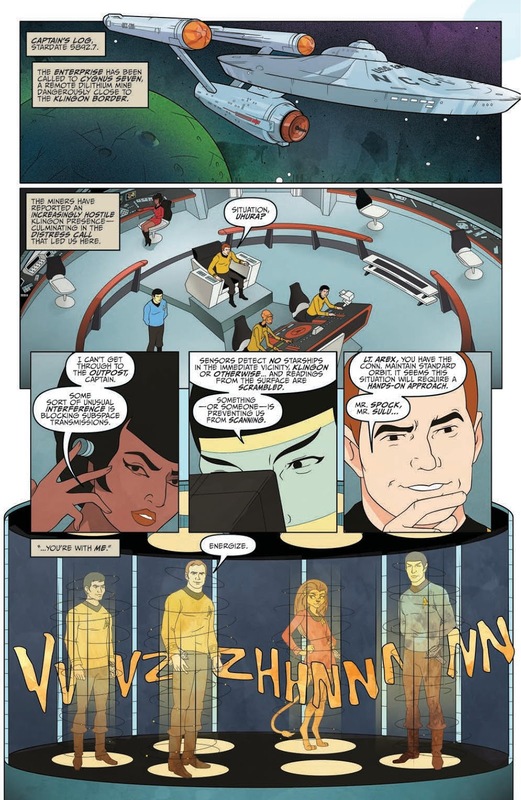 The comic's writing duties are a crossover in themselves, bringing together Star Trek's Mike Johnson with Transformers' John Barber. 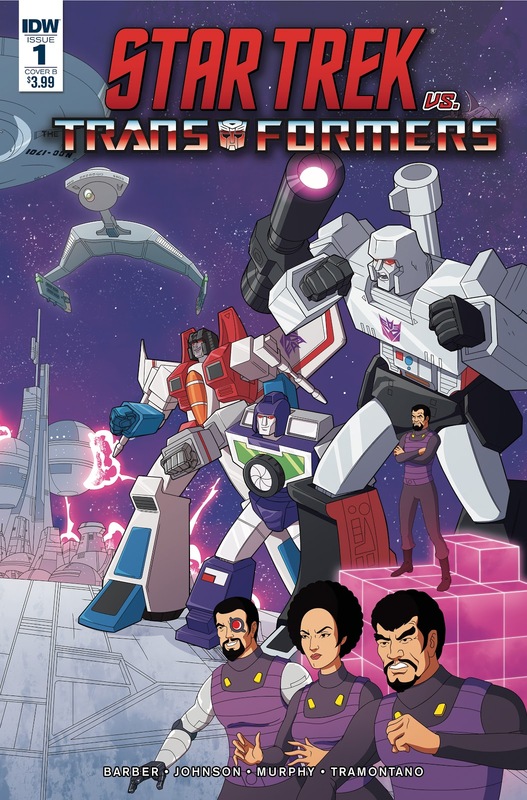 This first book is offered in four different covers, with Philip Murphy providing both the A and B covers, which form a diptych, featuring the Starfleet and Autobot characters on the A side, and the Klingons and Decepticons on the B side. 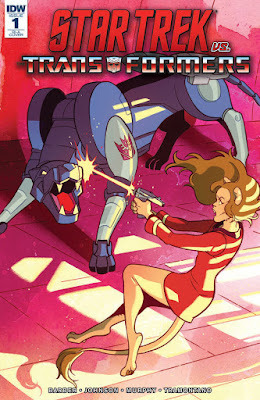 There are also two retail incentive covers, with Paulina Ganucheau giving us a feline crossover, and Derek Charm riffing on the classic TAS promo art with a Transformers twist. You can continue reading this story by picking up a copy at your local comic book shop, or from online retailers like these: Amazon, Things From Another World, Forbidden Planet, Barnes and Noble, iTunes. You can also see some behind the scenes work from this issues, thanks to artist Philip Murphy, who posted a nice breakdown of this issue's splash page on his Twitter.